SARAJEVO, BOSNIA AND HERZEGOVINA. 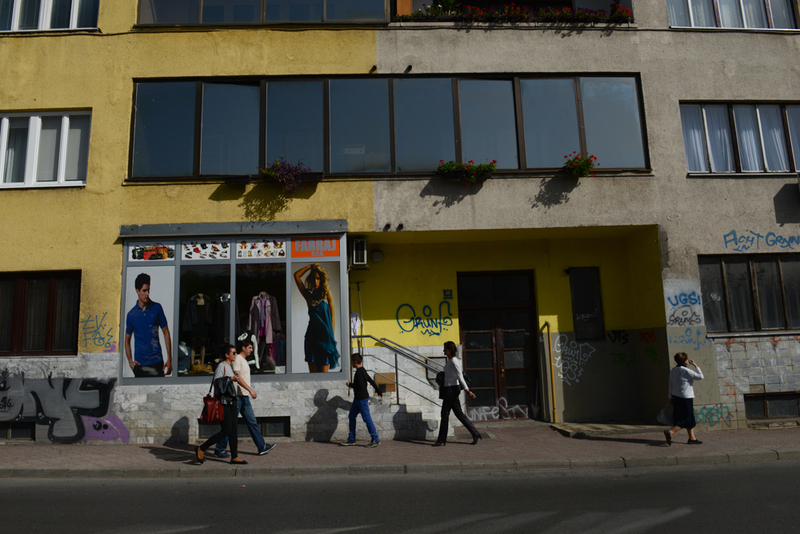 People walk passed a building that shows a lack of certainty with regard to the facade's colors and windows on October 11, 2014. As Sarajevo was restored after the 1992-1995 siege according to private property regulations as opposed to the previous state order which allowed for less dissonance and continuity of styles.